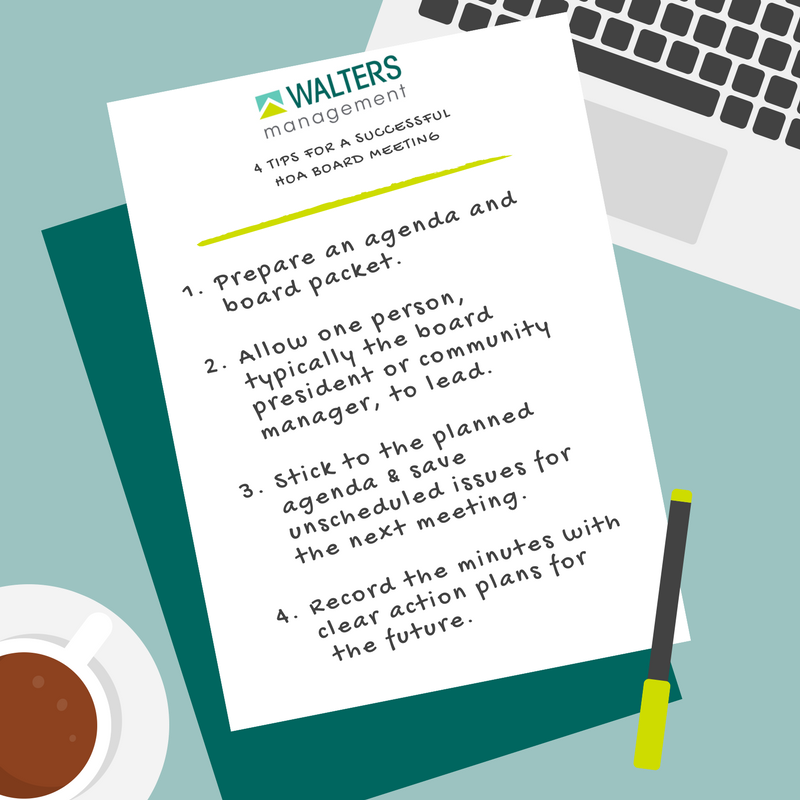 Walters Management understands the hard work that goes into serving on the Community Association Board as a board member. To keep our board meetings as effective as possible, our community association managers and administrators prepare specific agendas before all meetings. Board packets are created to keep the meetings moving through the issues planned with specific documents. During the meeting, our community association administrators keep track of each minute for future planning, the records of these minutes are then sent to board members as soon as possible. Our community association services cover the financial, maintenance and administrative aspects of managing a successful community that ensures it is operating at peak potential.